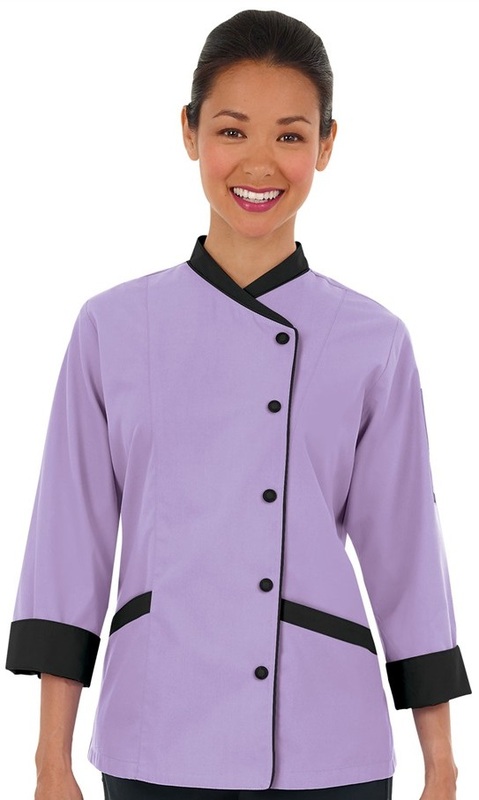 Set yourself apart with our women's 3/4 sleeve chef jacket. 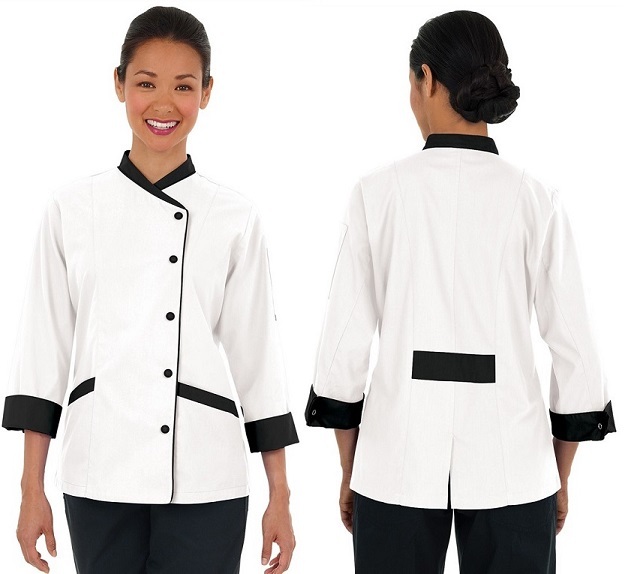 This tailored fit chef coat features a contrast trim on the collar, cuffs, pockets and center back. It also has a snap front closure as well as a 4 panel executive back with vent. 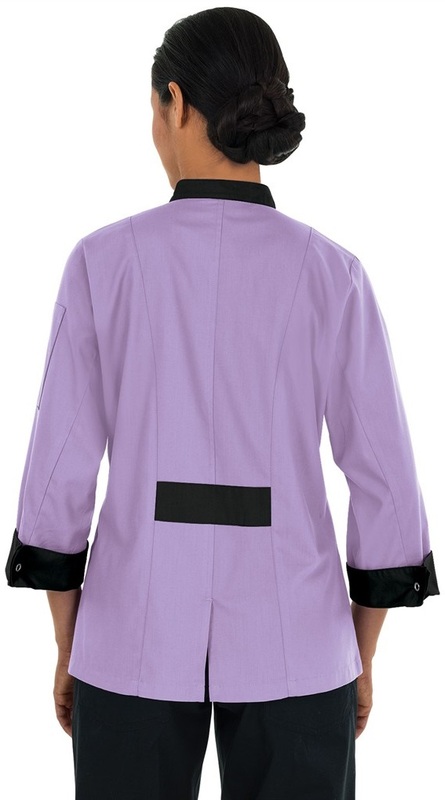 We've also added a thermometer pocket on the left sleeve for storage of essentials and underarm vents. 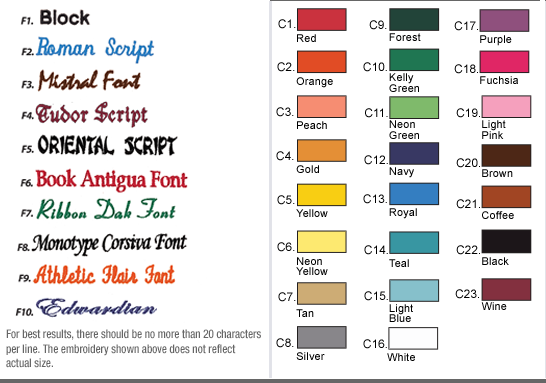 Premium fabric is soft, easy care 65/35 Poly/Cotton Fine Line Twill. Approximate length for size Medium is 26 1/2". From left to right: Eggplant w/Black and Pebble Grey w/Black. From left to right: Black w/ Apple Green and True Red w/Black. Look chic and stylish in the kitchen, Lady Chef!